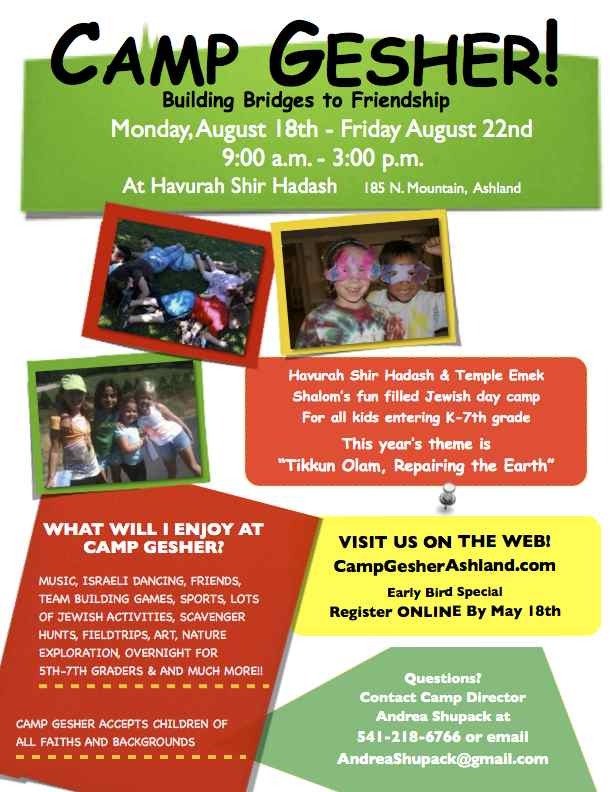 9:00 a.m. – 3 p.m.
Camp Gesher is a Jewish day camp and is a joint program of Temple Emek Shalom and Havurah Shir Hadash. It is open to all children entering kindergarten through 7th grade. 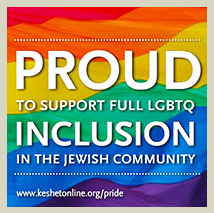 Please visit our Camp Gesher website at http://campgesher.wordpress.com/ for information about camp and to enroll. And spread the word to your friends. If you’re children have attended camp before, let others know what a great time they had. Each year we have an incredible staff and wonderful programming. Campers and Counselors all have a blast. I like to say, we pack a big punch in a small time. Your children, whether reluctant at first or not, will be so happy you enrolled them. At the end of the week, they will be begging you to enroll them again next year. They will come out of camp with new friends, a new found love of Judasim, and stronger sense of self. There are also volunteer and work opportunities for teens 8th grade and up. Visit the website for more information and let Andrea know if you know someone who is interested.